Art during the Renaissance era sought to advance human ideals, specifically secular morality. 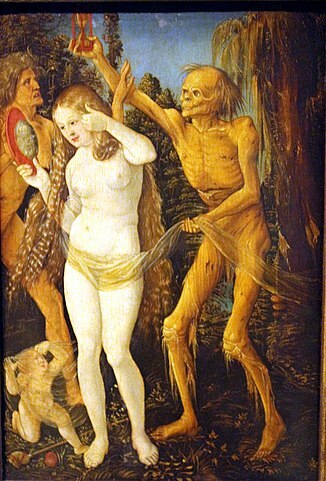 This painting is a secular allegory showing the passage of time and the folly of vanity. It is also a terrific example of German humanist art.